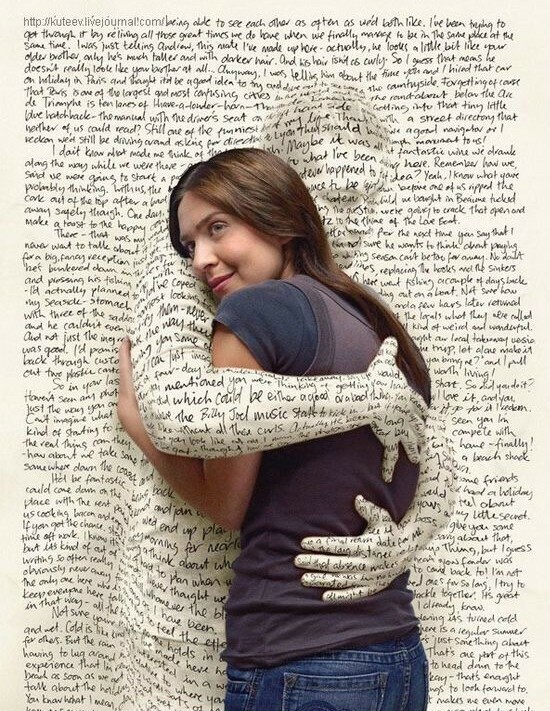 Words, whether written or spoken have great power. When used positively they can encourage, support, inspire and light a fire in someone’s heart. The negative use of words can deeply wound, cause loss of confidence and extinguish the passion in those same hearts. I know that I have been on the receiving end of both types of words. Some of them have caused me to question my worth. Others have shown me that I have more value than I believed. As much as I hate to admit it, I’m sure I have used words as weapons that have caused others pain. These days I consciously strive to make my words positive and uplifting. It is no accident that God is referred to in the Bible as the Word. His words in this book of instruction, point me in the way I need to go. The more I listen to Him, the more I am able to reflect his love to those around me. His whispers into my heart light the passions and purpose that have been placed deep within me. It is only by listening to and following his words that I can live the life I was created for. 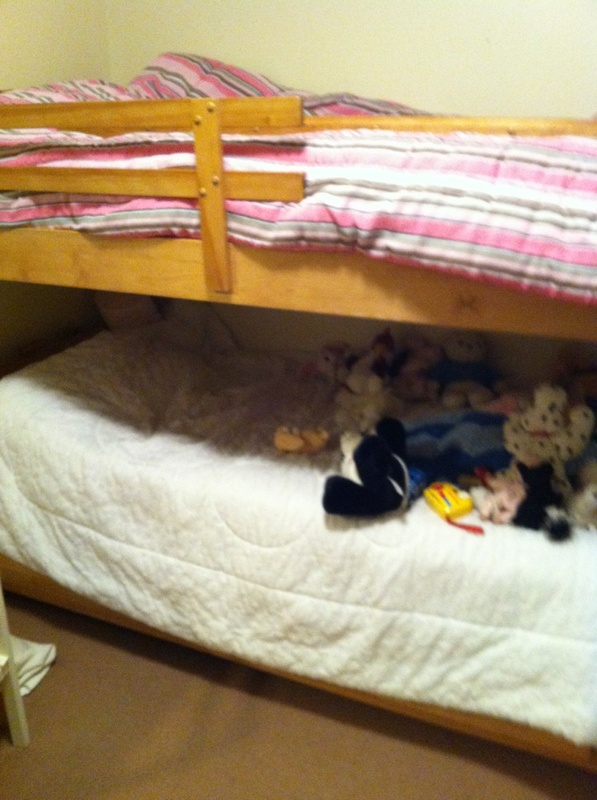 We had our 4 year old granddaughters here for a sleepover. Early in the morning we were awakened to the sounds of giggles and whispers. We enjoyed the happy sounds and realized that they had no idea we could hear them. Their lively chatter made us smile. Soon that changed as one got upset, started to cry and appeared at our bedroom door. I held out my arms and she rushed into my comforting embrace. It wasn’t long before everything was right in her world again. This is similar to my relationship with God. I carry on with my day, sometimes forgetting that he hears everything I say. He enjoys hearing my laughter and happy conversations. Most of my words please him but there are others that cause concern. When I am upset he is always there to give me comfort and set my world right again. The important thing for me to remember is that even when I am not consciously aware of it, God is always with me. When the communication between us flows freely, my life is so much smoother. According to Wikipedia, a glow stick is a self-contained, short-term light-source. I also found more technical information but nothing that describes the enjoyment that they bring. The children in my life love to get glow sticks. They have fun wearing them as bracelets or just waving them around in the dark. When first taken out of the package, a glow stick is nothing special to look at. The light does not appear until after you crack it. Then it changes and brightens up the area around it. This made me think how much my life has been like a glow stick. I have found that I can live with no risk and be nondescript, like a glow stick fresh out of the package. When I step out of my comfort zone, there is the chance that I might get hurt, or broken. By taking that brokenness to Jesus, I allow him to turn it into a light that attracts others. Like a glow stick, that light is not only used for recreation, but can also be relied upon for many other things. The main difference, though, is that a glow stick can be used only once. After I allow Jesus to light up my life, I can be used continually to bring light into other lives. It must have been part of a dream that I don’t quite remember, but I woke up thinking about dancing. The thoughts drifted in and out of my mind all day long. The more I thought about it, the more convinced I became that my life is like being at a dance. Sometimes my life is in measured steps, like a technical dance routine. Everything seems to be choreographed and I need to pay careful attention to keep up with it. Other times it is slow and sweet, as I move in perfect harmony with my partner. These steps need to be savored as the dance is ever changing. Next I get to the dance of frenzied activity. The movements are energetic and enjoyable, but it’s a pace I can’t keep up for extended periods. There are also times when it feels like I am out of step, and just not quite in synch with those around me. Do I stress about this or realize that perhaps this is a dance I need to sit out and just observe. The music changes and a new dance begins. There are challenging new steps to master. It’s all part of the adventure. As long as I keep in step with God, my life will be a dance to honor him. 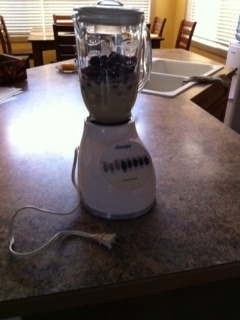 Even though a couple of the regular ingredients were missing, my breakfast of choice was a fruit smoothie. I put everything in the blender, pushed the blend button and nothing happened. A couple of other buttons were tried, but still nothing. It was then that I realized I had not plugged it in! Without the power source nothing could happen. The parallel to my life hit me immediately. Unless I plug into my power source first thing in the morning, my day is not going to have the outcome that would otherwise be possible. My day needs to start with my connection to God, through prayer. The wonderful thing about this is that I don’t need a long extension cord to stay plugged in all day. God has sent the Holy Spirit to be with me constantly. This source of power is available whenever I choose to make the connection. With this source freely available, I would be foolish not to remain plugged in and fully charged. November 11th is known as Remembrance Day in Canada. In other countries it is called Armistice Day or Poppy Day. This date marks the anniversary of the official end of World War 1 on November 11, 1918. As a holiday, the day commemorates the sacrifices made in armed conflicts. Countless numbers have given their lives. Many more have suffered serious injuries and great emotional scars. The sacrifice that so many have paid to ensure a better life for those who followed is overwhelming. That is why on this day and for weeks before, people can been seen wearing artificial poppies as a symbol of remembrance. There is also a period of silence at the eleventh hour to remember these sacrifices. Many areas have commemoration ceremonies and military parades. Those who made the sacrifices are remembered and appreciated. Among those I will be honoring will be my father and father-in-law, who both fought in World War 2. While I am remembering those sacrifices, I also need to remember the greatest sacrifice of all. Jesus gave his life so that I may have the opportunity to spend eternity with him. He paid the penalty for my sins so that I may be forgiven. He knew what the outcome would be, but carried it through because of his great love. This is something I did not deserve. This gift is something to thank him for each and every day. 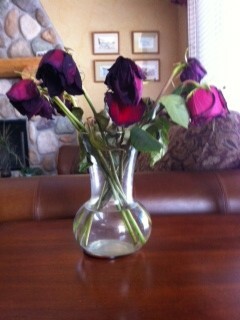 The once beautiful bouquet of flowers had now wilted. Their heads drooped, petals fell and the leaves were crisp and dry. They had been like this for days before I finally disposed of them. My reasoning for keeping them was that even in this state, they reminded me of the beauty and fragrance that had been present in previous days. As I removed the flowers from the vase, I was reminded that nothing lasts forever. The joys in my life need to be savored in the moment and stored as beautiful memories. Sometimes, like cut flowers, they will be gone far too quickly. Just as these flowers were an unexpected gift, so are many things that happen in my life. I choose to view my life as the perennial flowers in my garden. They bloom for a season, one lovely blossom being replaced by the next. Then they have a season where they appear dormant. This time of rest prepares them for the next phase, when they will burst forth into renewed life as the seasons change once again. As I think of my wilted flowers I choose not be sad that they are gone, but to be thankful that I had the opportunity to enjoy them in the first place. They brightened my life in the short time they were here. At some point I will again enjoy a bouquet of flowers. They will not be identical to the ones I had, but will each bring their own beauty into my life. I trust God to provide the fragrance of new beginnings and the season of rest, all in his perfect timing. The snow was still falling when I went out to shovel. There had been quite an accumulation in the previous hours and the sidewalk and driveway needed to be cleared. This was normally my husband’s job, but he was unable to do it this time so it was up to me. 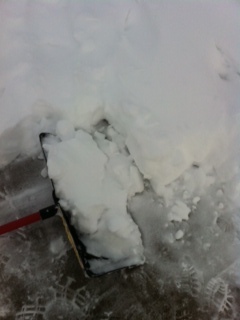 As I removed the first few shovelfuls, I was happy at how much easier it was than I had first thought. Self congratulations were short lived though, as it seemed the longer I worked, the heavier the snow seemed to become. There was the same amount on the shovel each time, so I found it interesting that the load became heavier the more times I carried it off to the side. As I struggled, I saw a man across the street clearing the sidewalk with a snow blower. Part of me wanted to ask for his assistance. The other part wouldn’t let me ask for help. It would be different if he noticed that I was struggling and offered to help. That didn’t happen, so I carried on, feeling sorry for myself as my back screamed out in protest of the heavy loads. Later, as I reflected on this, I realized there was a relationship between shoveling snow and my life. When I just have a few burdens, they may be a nuisance, but they are not too heavy to carry. Unfortunately, like the snowfall, if not dealt with they multiply making it ever more difficult to bear the load. When I struggle under this weight alone, not only do I suffer physically, but my emotional state is not pleasant. What I sometimes forget is that I do not have to do it on my own. Help is available if I just ask for it. Jesus is just a prayer away and when called upon will always send someone or something to lighten my load.